A while back I had a conversation with a lady who claimed to be a Christian. One comment she repeatedly made really bugged me. She believed that the Bible is full of mistakes. However, she could never identify any of the supposed mistakes. Her major evidence for supporting this was the difference between the four Gospels. It seems that she could not understand that they were written from different perspectives, by four different authors and to different audiences. Apparently, she viewed the differences in the accounts as contradictions and errors. Further she saw the variety of translations as proof that the Bible was somehow flawed. It seems she believed that each translation was a different Bible and written to fix errors in other translations. I have been amazed that the misunderstanding about Bible translations that exist. Over the years I have encountered people who seem to believe that each translation is an attempt to fix others. I’ve even been told that any translation with the word New in the title is heretical. The reason was by using the word New (i.e. New American Standard or New King James) that the translators were trying to change the Bible. Of course, those that claim the King James is somehow the only acceptable translation or at least a superior translation than others puzzles me. Much of their reasoning relies on superficial things such as the longevity or differences in the wording found in other translations. I’ve never understood why some chose to focus on the difference between newer translations and the KJV. 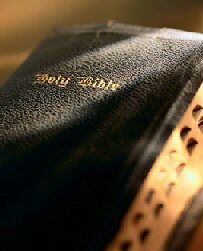 The Bible was not originally written in English most modern translations were translated from Hebrew, Greek and Aramaic . I think the problem is not the availability of a good translation of the Bible. In my opinion there are many good translations available. The problem for many of us is actually studying the Bible and applying it to our lives. Many times we would rather read into a passage what we think or want it to mean rather than the actual meaning of a passage. Next Day 13: Myself and 13 things. I agree. The only reason I refer to the KJV is because it is the closet translation to the greek/hebrew but still there were mistakes in that. If you look up the words King James translated are completely different from what the greek/hebrew meanings. I think if you are determined to get the Biblical truth you must refer back to the original greek/hebrew. The only reason I refer to the KJV is because it is the closet translation to the greek/hebrew but still there were mistakes in that. If you look up the words King James translated are completely different from what the greek/hebrew meanings. Your 2nd sentence contradicts your 1st one. The KJV was translated using a mixture of literal translation and dynamic equivalent with no rule for determining the which method to use. However, the NASB & ESV are the closets translations to original language. Have you ever compared the NASB & ESV to the Greek or Hebrew? Actually, the ESV & NASB are the closet to the original languages. Also King James didn’t translate anything. You are correct, the scriptures I searched out and their translation was the correct translation in the NASB & ESV. But by closest I mean the KJV was written in the 1600’s. Where as the NASB was started in 1960 and published 11 years later. And from my research about the ESV, was made to produce readable and accurate translation that stands in the tradition of Bible translations (Tyndale’s, KJV, ERV, ASV, and RSV). The translators wanted to follow a literal translation philosophy. Tyndale was the first translator of the Greek and Hebrew in the 1500’s but was hung and burned for making the Tyndale Bible. The new testament was only published then banned. The 54 scholars who created the King James Version of the Bible, drew a lot from Tyndale’s translations. Somewhere around 83% of the New Testament was Tyndale’s and 76% from the Old Testament. So, in the end it all comes down to the greek and hebrew. If the NASB & ESV are completely correct in translating then that is great. But it is also good to search it out and make sure. Saying the KJV is closet based on its age is certainly an original take. However one factor with the when the KJV was translated is that some of the better and older manuscripts were not available. Of course based on this line of reasoning the Geneva Bible is closer than even the KJV because it pre-dates the KJV by more than 50 yrs. The biggest difference between the NASB and ESV based upon using for many years is that the NASB kept the Greek and Hebrew grammar to give the reader the experience of reading the original language. The ESV uses English grammar. Yes both are very literal. In school there would always be someone who was trying to take a short cut on homework and copy the NASB rather than do the translation themselves. I use the NASB or ESV when I want a literal translation without going to the original language. The KJV is uses both dynamic equivalent and literal translation apparently switching between the two when it fits the translators needs. My point is that the KJV is not the standard for correctness. It is one of several good translations. The NASB &; ESV and other modern translations used older manuscripts than the KJV and didn’t rely heavily on the Latin Translations. Fee & Stuart have an excellent discussion on Bible Translations in their book “How to Read the Bible for All Its Worth”. You too. Enjoyed checking out your blog, too.